The purpose of Cosmetic Acupuncture is to create a younger and more vibrant appearance-naturally and holistically. 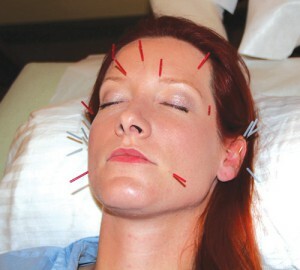 It is possible for Cosmetic Acupuncture to address the energy of the entire body. Your complexion reflects the result of the state of Qi in your entire body. Facial Rejuvenation does the following: improves muscle tone, increases collagen, eliminates bags under eyes, helps to eliminate fine lines, helps to lift, bring out a persons innate beauty and radiance, slows the aging process.